Happy New Year, folks! I hope you had a wonderful time celebrating! My husband and I celebrated our twelfth wedding anniversary on New Year's Eve and spent a nice relaxing day at home getting a few things done yesterday. It was pretty great, actually! Today, the Simon Says Stamp Challenge is all about Something NEW! I decided to create a fun New Year's card with some NEW stamps from Simon Says Stamp and a set I got for Christmas, too! Lots of new stuff! This card was way fun to create! I stamped the background and then created the masked and embossed sentiment circle to add to the front. 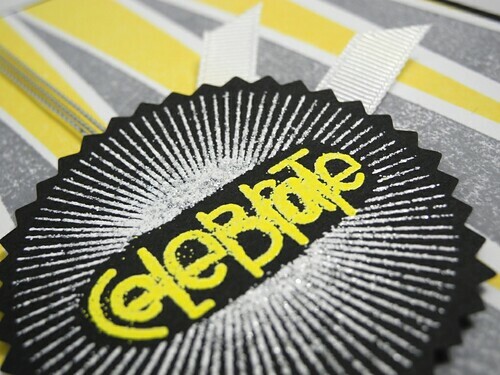 I actually stamped the sunburst first, masking off the area for the sentiment, embossed that with the bling embossing enamel, and then stamped and embossed the sentiment in yellow. Kind of tricky, but super fun! I like how it looks like the dropping ball for New Year's Eve! So...you should totally kick off the new year and participate in this fun challenge! All you have to do is thing about Something NEW! 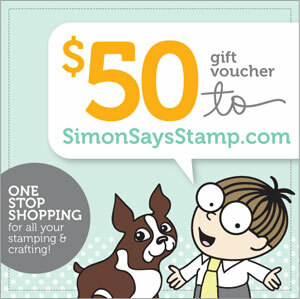 One lucky participant will win a $50 voucher to the Simon Says Stamp Super Store!!! I can't wait to see what NEW ideas you come up with! Happy New Year!!! To find the super fun products I used on this card, including the new Avery Elle stamps and the new-to-me Paper Smooches stamps, check out the links below! Fabulous card Jennifer!! Love all of the embossing!! Beautiful job! I find myself doing all kinds of tricky things. I wish I didn't do them the hour before I need to mail something so much! LOL! awesome card..love the design...great color too..
Busy girl! Love all your cards today!!! And congrats on your new dt gig! 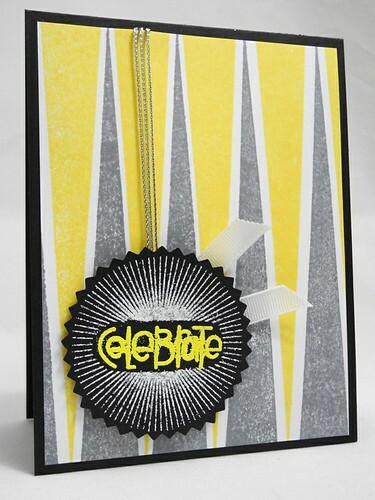 Ah amazing card Jennifer, a fantastic design and colours, your silver embossing sunburst is beautiful!! this card is just AWESOME! A great card for the New Year! Bright and happy. And congrats on your new DT gig! The pop of yellow is a fantastic touch! What a cute card-I love those colors. It really makes the yellow pop. So bright and cheerful! Great work. So happy to be playing along with you this month!